We are Importers and manufacturer of custom USB Pen drives which can be in any shape. You can choose your own design and we develop a pen drive in that shape. The shape can be your logo, concept or any object and would be developed in PVC material. We provides design services. The MOQ is 200 pcs and is available in 2 GB , 4 GB, 8 GB,16 GB, 32 GB, 64 GB and 128 GB capacity. Custom Packaging is also available. We offers you fully customized Credit Card Pen Drive @ lowest price. It can be easily placed in your pocket or wallet and carried around. These Credit Card Pen Drive also offers the best branding space with 4C digital print on both sides of the card. It's extremely easy to use and portable. Limited stock of 8 and 16 GB at special price. We are engaged in offering a quality range of Wrist Band Pen Drive Slap Band Pen Drive. The Wrist / Slap Band Pen Drive we offer is widely demanded amongst the clients for its sturdiness and durability. Besides, one can get these products in committed time frame. This Pen Drives are available in full natural wooden or bamboo case, looks simple and stylish. It is manufactured by us. A green gift or product wins the favor of your clients. Bamboo USB Flash Drives are environment-friendly products made of wood or bamboo.These Pen Drives are available in a wide variety of sizes -2GB, 4GB, 8GB, 16GB, 32 GB, 64 GB. It can be customized with your logo printing. Key Shape Pen Drives is manufacturers by us using highest quality. Key Shape Pen Drive is a metallic pen drive which is in the shape of key. Available in three colors including black, silver and gold. Engraving or Silk Printing is possible. Packaging options available including paper box, plastic and metal box. Available in 2 GB, 4 GB, 8 GB, 16 GB,32 GB,64GB and 128 GB . Capacity(Gb) 2 GB, 4 GB, 8 GB, 16 GB, 32 GB, 64 GB and 128 GB. We are Importer and manufacturer of OTG Hybrid Pen Drive. It's a Great Product, just Plug and Play. When connect to the Smartphone, Then you can transfer Dates, Play music , video File Exchange. Also work as normal Flash Drive. User can use this device when connect to PC and Notebook. Available in capacity of 2, 4 , 8 , 16 , 32 , 64 , 128 GB with custom logo printing. We are Importer and wholeseller of different type branded pen drives selling at very compitative prices. Dimension/Size it can be standard size or as per your need. Twister Pen Drive is one of the most popular Pen Drive manufactured by us .The main reasons for this are; no cap to lose and that we can pantone match the body of the memory stick to match the logo colour. This memory sticks also allow you to rotate the metal clip around 360-degree. The metal clip can be engraved or printed on both sides. Available in a wide variety of sizes -2GB, 4GB, 8GB, 16GB , 32 GB, 64 GB, and 128 GB. We are Wholeseller of verious type of UDP Flash drive Standard, Mini Nano and USB Chips. Leather Pen Drive is one of the most popular Pen Drive manufactured by us . Leather pen drives combine style and sophistication with a rugged finish that will last pretty much a lifetime.Just Plug Play, make the ideal gift for anyone who needs to move around different computers.It comes in various design shapes, available in 2GB, 4 GB , 8 GB, 16GB, 32 GB, 64 GB and 128 GB Capacity. It can be customized with your Panton color with logo printing. Customized logo shape pen drive is manufactured by us .These customized Logo shape Pen drives can be made in any shape. You can choose your own design and we develop a pen drive in that shape. The shape can be your logo, concept or any object and would be developed in PVC material. We provides design services. The MOQ is 200 pcs and is available in 2 GB , 4 GB, 8 GB ,16 GB, 32 GB, 64 GB and 128 GB capacity. Custom Packaging is also available. Crystal Pen Drive is one of the exclusive Pen Drive manufactured by us . It is Slim Crystal USB flash drive with acrylic light up top part. 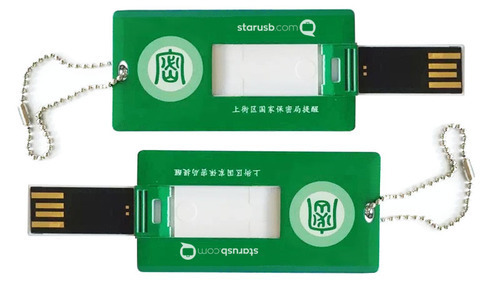 The top part light up when the flash drive is inserted in a usb port.We provide deliveries across the world. Plastic Pen Drives are manufactured by us .These Pen Drives are made up of Silicon material. It has a great design to allow for an easy grip and manipulation.It has maximum storage capacity. Available in 2GB, 4 GB , 8 GB, 16GB,32 GB, 64 GB and 128 GB Capacity with some models in ready stock. It can be customized with your Panton color with logo printing.Custom packaging is also available. We are Importers whole seller of all type of branded pen drive in very best price. This is one of the latest Pen Drive manufactured by us. It combines the utility of stylus and a pen drive all in one, making it the perfect executive merchandise gift.One has various colour options to choose from. Logo imprint up to 4 colours is possible. The Stylus inbuilt is your perfect accessory for using on your smart phones. This is one of the latest Pen Drive manufactured by us. It combines the utility of stylus pen and a pen drive all in one, making it the perfect executive merchandise gift.One has various colour options to choose from. Logo imprint up to 4 colours is possible. The Stylus inbuilt is your perfect accessory for using on your smart phones. Metal Pen Drives are manufactured by us.These Pen Drives are made up of Zink, AluminiuM, Iron, Steel and Mix material. It has a great design to allow for an easy grip and manipulation.It has maximum storage capacity. Available in 2GB, 4 GB , 8 GB, 16GB,32 GB, 64 GB AND 128 GB Capacity with some models in ready stock. It can be customized with your Panton color with logo printing and Engaving .Custom packaging is also available. We are Wholeseller of Moserbaer pen drive on very resanable rates. New Style Car USB Pen Drive is one of the most popular Pen Drive manufactured by us .It is available in Plastic with different shapes customized colour.These Promotional USB Car Flash drives perfect for all sports and car related industry. Available in 2 GB, 4 GB, 8 GB, 16 GB and 32 GB . We provide delivery across the world. Plastic Pen Drives are manufactured by us .These Pen Drives are made up of plastic material. It has a great design to allow for an easy grip and manipulation.It has maximum storage capacity. Available in 2GB, 4 GB , 8 GB, 16GB, 32 GB, 64 GB and 128 GB Capacity with some models in ready stock. It can be customized with your Panton color with logo printing.Custom packaging is also available. Unique shape pen drive is manufactured by US .These customized shape Pen drives can be made in any shape. You can choose your own design and we develop a pen drive in that shape. The shape can be your thought , concept or any object and would be developed in PVC material. We provides design services. The MOQ is 200 pcs and is available in 2 GB , 4 GB, 8 GB and 16 GB, 32 GB and 64 GB capacity. Custom Packaging is also available.